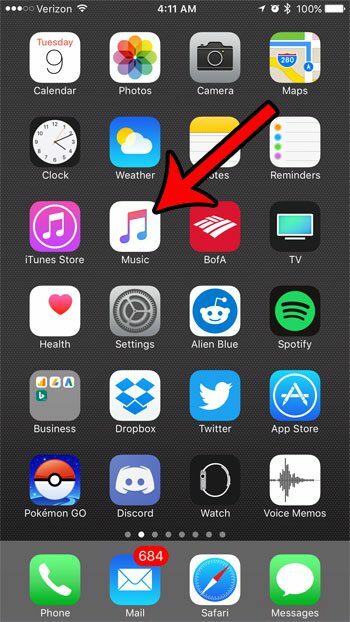 The Music app on your iPhone has a Library tab where you can browse all of the songs that you have on your iPhone. 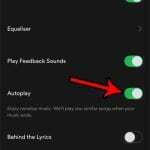 You are probably accustomed to looking for songs here using the Playlists, Artists, or Songs option, but there are some additionally ways that you can search for the music that is on your device. Out guide below will show you how to add or remove different browsing options to this Library tab, such as genres, composers or compilations, so that you can use alternate methods to find the music that you would like to listen to. 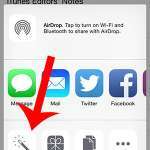 The steps in this article were performed on an iPhone 7 Plus, in iOS 10.3.1. 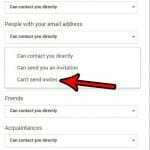 Note that adding one of these browsing options may not make it appear on your phone unless you have a file on the device that would fit into one of those categories. 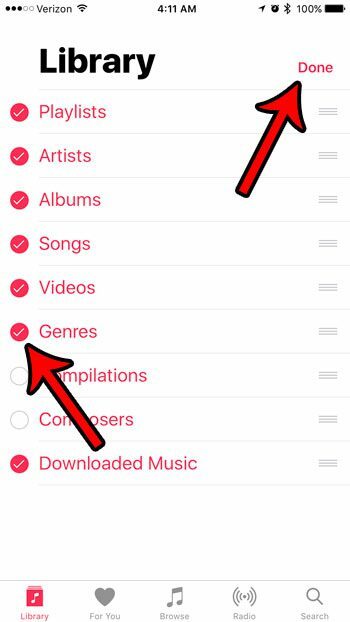 For example, I can add the Videos option, but it doesn’t appear because I don’t actually have any music videos on my iPhone. 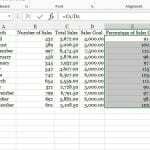 Step 2: Select the Library tab at the bottom-left corner of the screen. Step 4: Tap the circle to the left of each browsing option that you would like to display on the Library screen. Once you have finished added or removing all of your desired options, touch the Done button at the top-right of the screen. Do you often need to delete songs and manage your music library on your iPhone because you are running low on space? 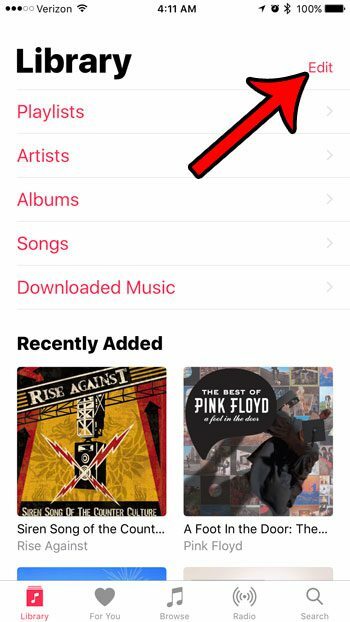 Learn about the storage optimization setting for iPhone music and try it out to see if it is a preferable alternative to the manual method of managing your songs.